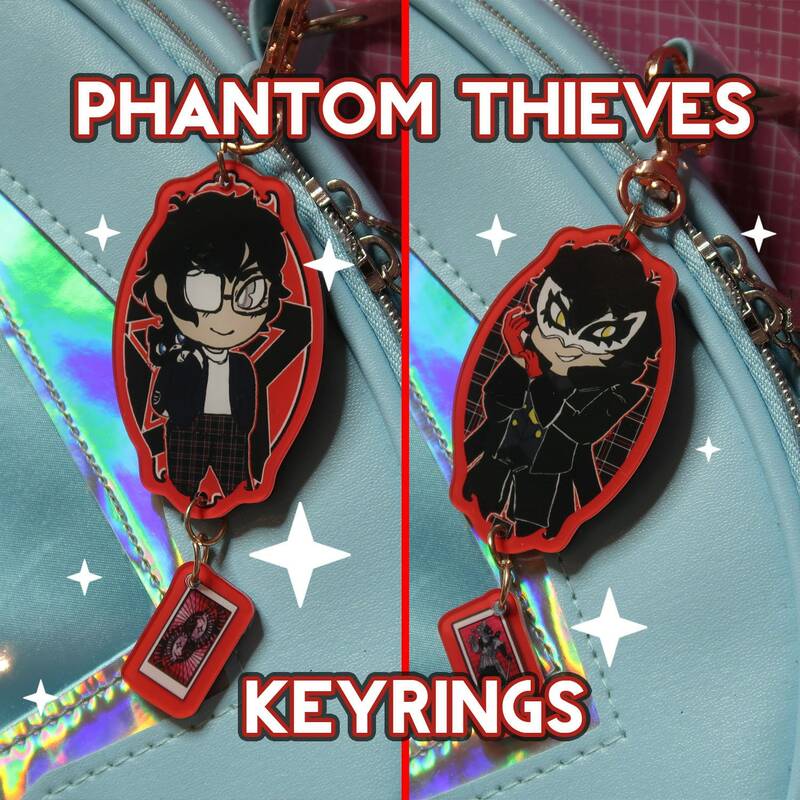 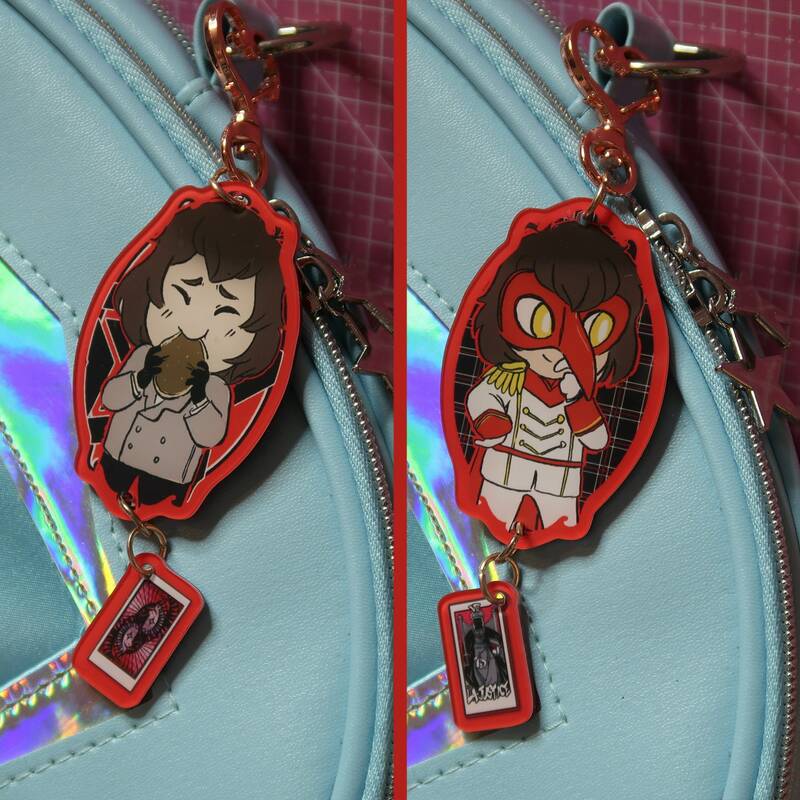 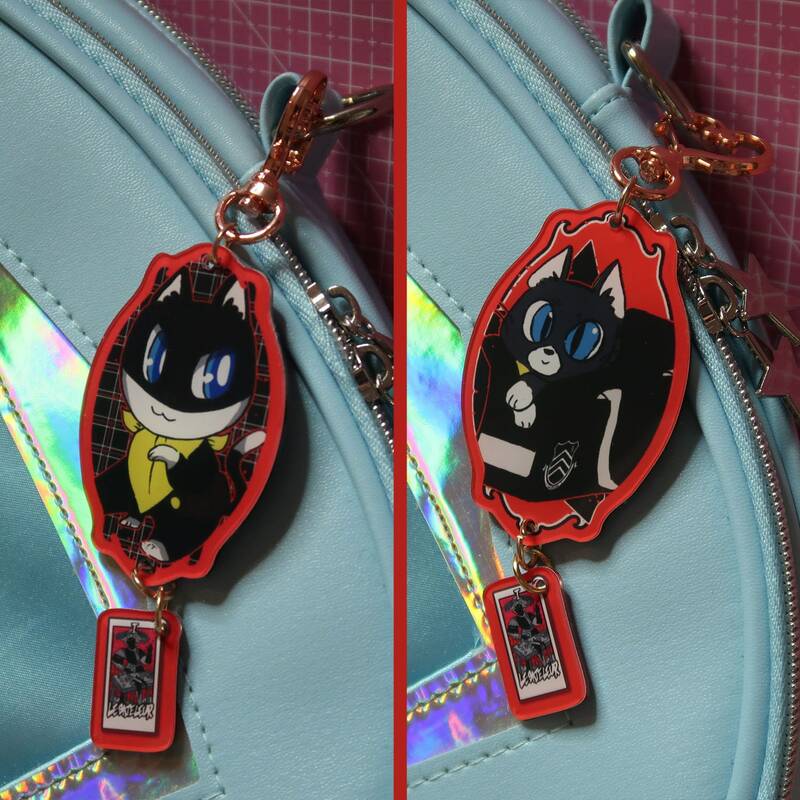 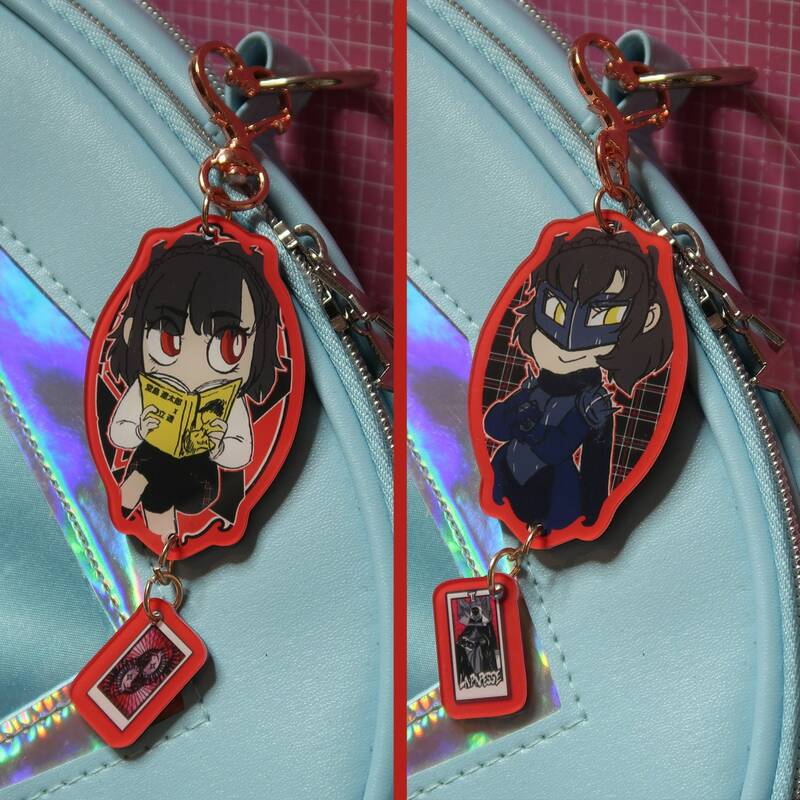 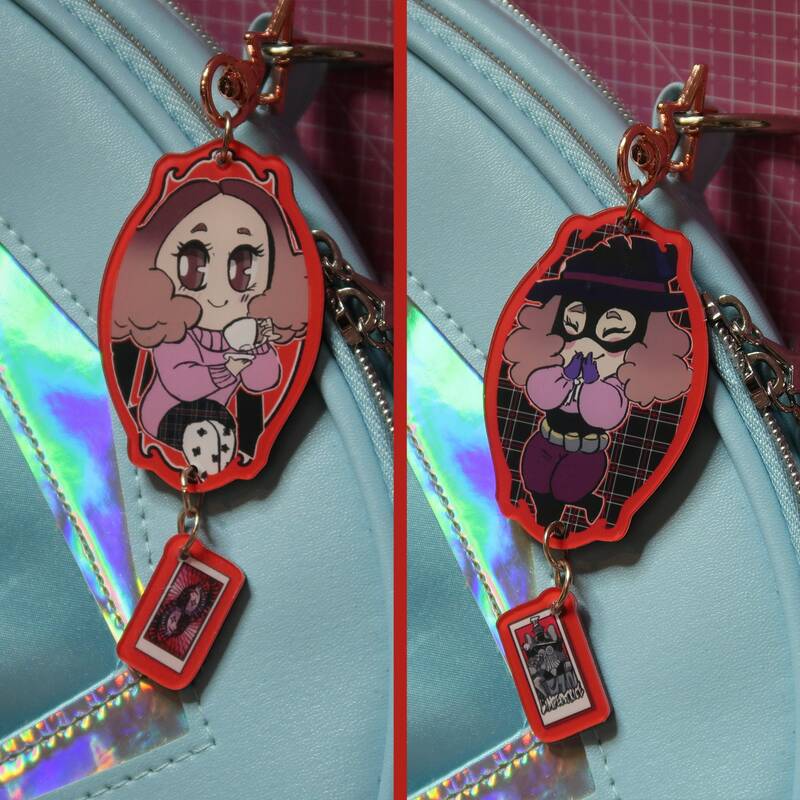 Acrylic keyring charm with a drawing of the Phantom Thieves! 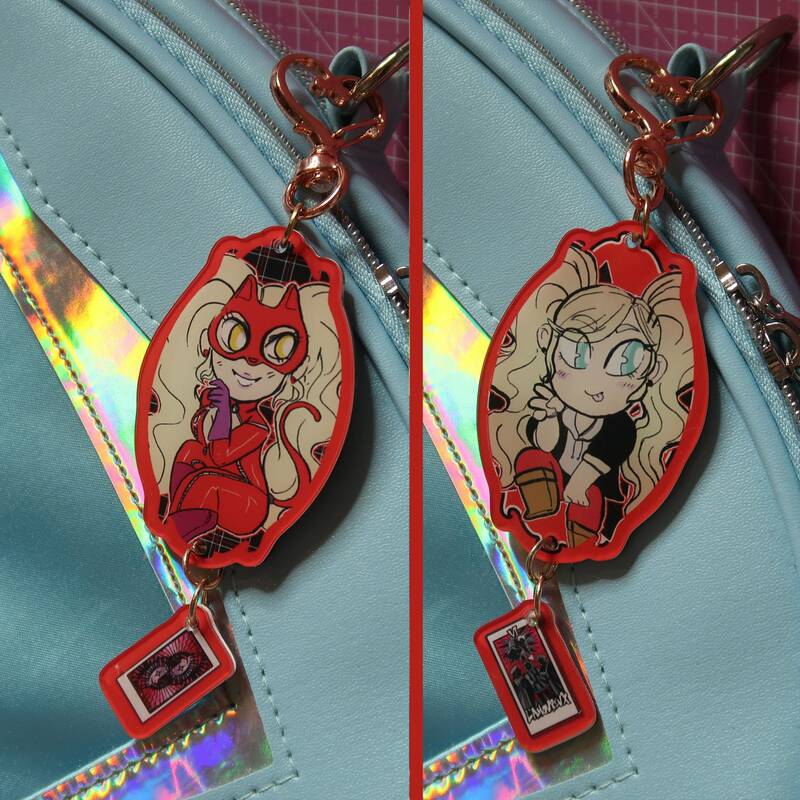 Double sided acrylic with gold star clasp. 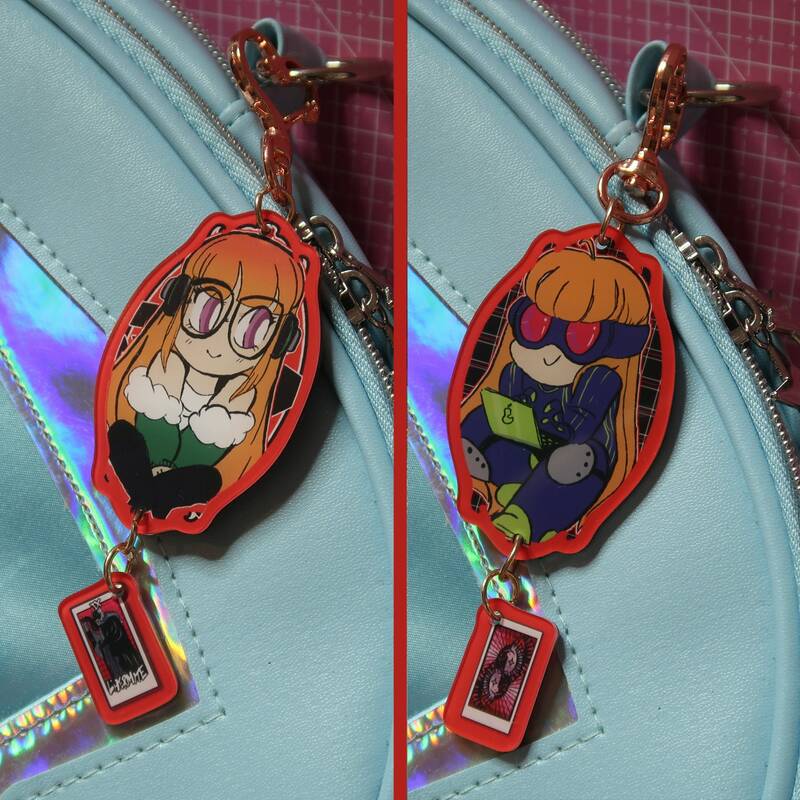 Each one has their own social tarot card dangle at the base.